Poor Nevada. 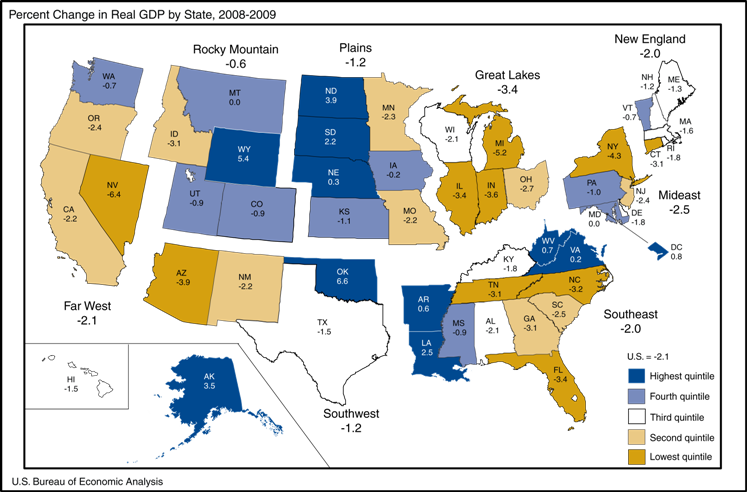 Last week the BEA released 2009 state GDP figures and the state came in dead last with a 6.4% year-over-year decline. And then yesterday the BLS released unemployment and state jobs numbers that show that Nevada continues to have the highest unemployment rate in the country and has hit new lows for total state employment in October. Things are looking a little better (employment-wise) in many states now, but it's hard say if Nevada has even turned the corner yet. Poor Nevada.